Can you believe it’s November already? Where has the time gone? Well… I’m still (somehow) surviving Kindergarten, but I wanted to pop in a share one of my favorite books for this time of year! Turk and Runt: A Thanksgiving Comedy by Lisa Wheeler. If you haven’t had a chance to read this book, you need to seriously RUN to grab it! This humorous and fun is just perfect for a read aloud around Thanksgiving, but also the perfect backdrop for a close read! Check out some of our favorite five days Turk and Runt Close Reading Activities! Please note this post does contain affiliate links. This means that if you click through and purchase something that I’ve recommended I receive a small fee in return. These small fees allow me to bring amazing and free content for you and have a few giveaways! For the first read, have students focus on the story elements of the book. As we read, I like to discuss the characters and setting. Turk and Runt provide GREAT characters to study! After reading, we work to answer some questions about the book. I like using a little bucket, and then have students pull questions from there. You could also just pass out a few question cards (which you can grab here!) and have students take turns asking and answering the questions about the text. As a follow-up activity, students head back to their seats and we work together to fill out a story map about “Turk and Runt”. Quick and easy and helps solidify how most authors structure stories. #teacherwin! Now that students are familiar with the text, the second read can be a little more focused. So the next day, as we read, we focus more on the two main characters in the story, Turk and his younger brother, Runt. As we read, I like to keep track of the characters’ response to different events in the story (CCSS version of cause and effect). With this second read, most students start to pick up on Runt’s slightly sarcastic (but definitely humorous views of Turk’s impending doom) Students also start to pick up on how much Runt must really love his family because he keeps saving them! By the third read of the book, students don’t necessarily need to reread the entire selection. But with this book, most students beg to read it again! Either way, the third pass-through of a book is the perfect time to really focus in on the vocabulary of the text. Turk and Runt is a perfect example of using adjectives and adverbs. Before reading, review the terms adjectives and adverbs. Discuss how adjectives describe nouns and adverbs describe the verbs (or how something is being done). Then, have students play this fun turkey word sorting game as a class. From there, we reread the certain pages from the text and discuss some of the adjectives and adverbs we’d use for each of the turkey brothers from our text. Usually, I’ll stop rereading a text after the third day, but with this book, there’s so much you can pull from it. For our final read, we focus on Runt’s very distinct point of view on different events in the story. Since we’ve already reread this text three times, it’s easy to skip around and find pictures/events to discuss. As we’re reread snippets from the text, we’ll record our thinking on this sheet from my Turk and Runt Close Reading Pack. With so much “reading and rereading” going on in a close reading routine, it’s sometimes hard to remember that writing NEEDS to happen. For me, writing and reading go hand in hand and close reading lends itself nicely to writing. After reading the text two times, I like to start a writing project that we can work on all week. For Turk and Runt, we focus on how Runt’s family changes their point of view of him and his ideas by the end of the story. For the first day, we brainstorm some ways they changed. We do this together and work to pull evidence from the text together as a class. The next day, we start our writings. Often times, I’ll model the beginning and closing, but allow students to write the juicy bits in the middle. By Friday, we’re usually ready to spot check out writing using a self-checking rubric (provided in this pack!) and make our little craft! This turkey craft is an easy print, color, and go! Also, having a craft gives students a little extra push to finish their writings! Love all the activities for this amazing Thanksgiving book? You can grab all these ideas and SO MUCH more just by clicking here or the picture below! Ready to have your close reading lesson plans for the rest of the year? Check out the Close Reading All Year bundle and save $$$. Each monthly pack is specially designed around perfect for the season books. 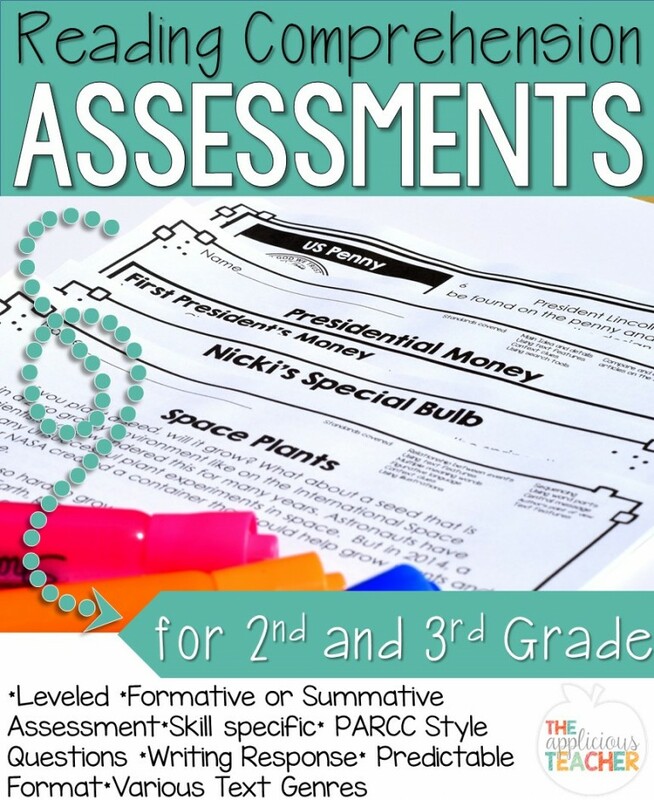 Includes five day reading and writing lesson plans, question cards, printables, writing crafts, and engaging games! Follow the link to snag it for yourself and save time! Subscribe to get these close reading sticky notes for FREE!